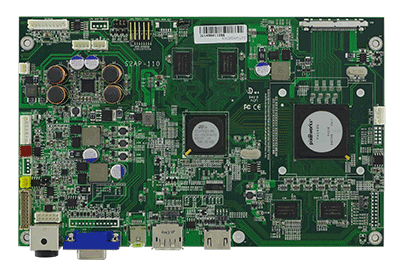 The Winmate S2AP is a powerful graphic processing board, providing High quality images for TFT panels from VGA (640 x 480) up to UHD (3840 x 2160) and can be used in a variety of systems. 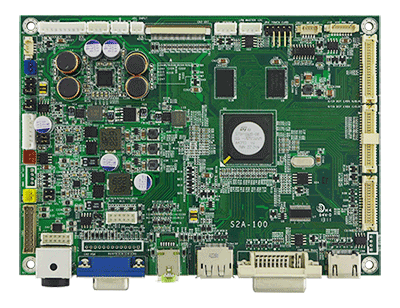 The S2AP provides all A/D board key functions required for image capture, processing and display timing control, other functions include a high speed triple ADC and PLL, high quality zoom and shrink scaling engines, and an exquisite on-screen display (OSD). With all these functions integrated onto a single board, the S2AP is able to keep up with the cost of high-end multimedia LCD monitors while maintaining a high degree of flexibility and quality.